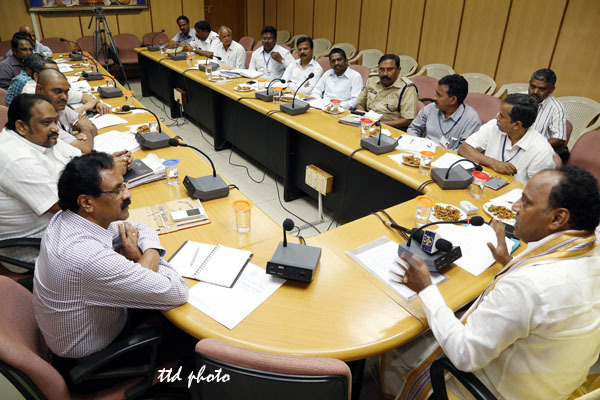 TIRUPATI, SEPT 24: Tirumala JEO Sri KS Sreenivasa Raju on Wednesday reviewed the brahmotsavam arrangements with the police and other government organisations in Tirupati. The review meeting took place in SPGH in Tirupati. 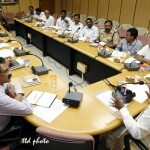 Addressing the meeting the JEO said, as heavy pilgrim crowd is anticipated for the present brahmotsavams, the Police should provide tight security both at Tirupati and Tirumala. He also sought the Corporation officials to keep the temple town premises clean and tidy especially in the bus stand and railway station areas. 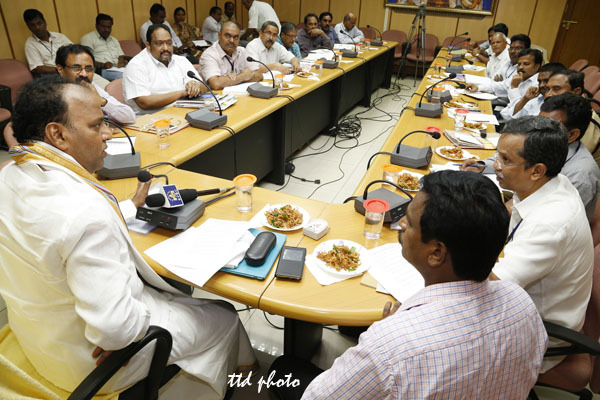 He also asked the RTO and traffic police to keep a regular watch on the private vehicles transporting pilgrims from Tirupati to Tirumala as they may charge exorbitant rates. The JEO also discussed with the police about the security arrangements made for first day of brahmotsavams for the honourable AP CM visit and also for Garuda Seva. He said the two-wheelers are completely restricted on Ghat road from the wee hours of September 30 till 2pm on October 1. 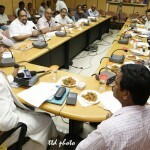 Corporation Revenue Officer Sri Varma, RTO Sri Prasad, RTC RM Sri Maheshwara, Dy Traffic Manager Sri Chengal Reddy, DSP Sri Subbanna, TTD Transport GM Sri Sesha Reddy, SE I Sri Sudhakar Rao, Health Officer Sri Venkatramana, SE Electricals Sri Venkateswarlu, VSO Tirupati Sri Ravindra Reddy were also present.